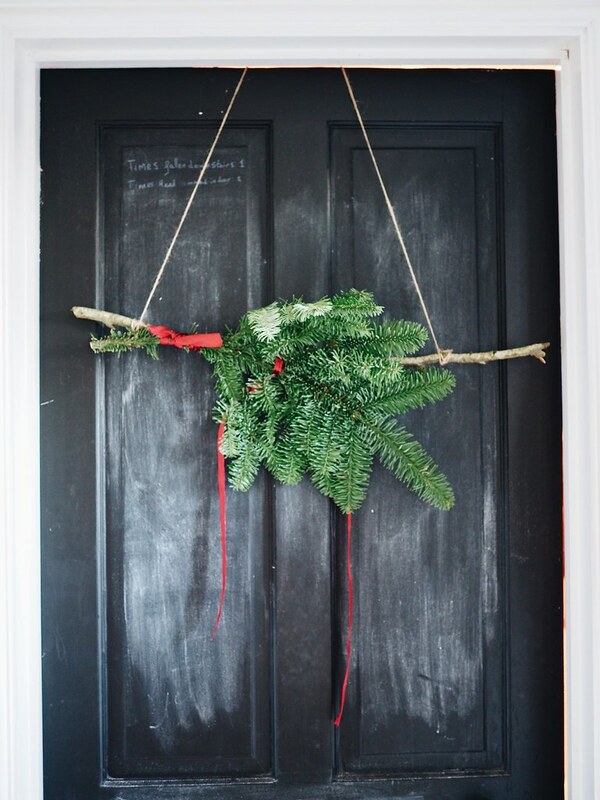 Being a flat dweller, no one will see a wreath on my door! Start out by cutting out your leaves and berries (this is where my Printable comes in if you need a hand coming up with some shapes). These can be anything you like - holly, oak, ginkgo, eucalyptus, or a mixture of a few things. I then painted them to add some texture, let them dry, and with a pencil curved some of the edges, and pinched some between my fingers to add dimension and make them look more “realistic”. Now that all your leaves are ready, start positioning them around the embroidery hoop without glueing, so you can get the placement vaguely how you want it. Take a photo! It’s hot glue time! Start glueing and placing the leaves on to the embroidery hoop, make sure to put any excess leaves on the back as well, so it looks pretty from both sides! We’re almost done... next, tie a bow and add it either to the centre at the bottom, or the centre at the top of the wreath, glueing it so that it stays in place. Aaaaand finally! 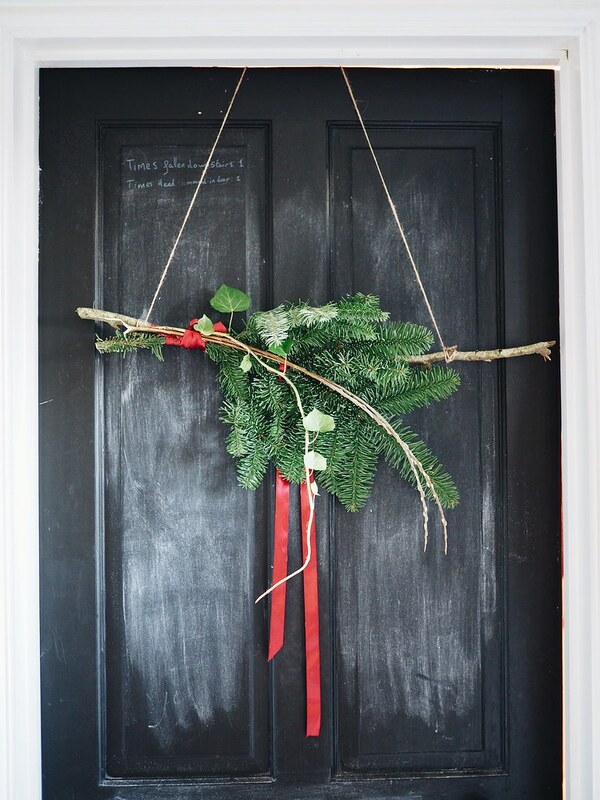 Wrap the string lights around the wreath, placing some in front and some behind the leaves - you don’t need to be too neat with this; wonky is cute! *clap clap clap* ta da! Hang in your window, fellow flat dweller, and enjoy! Mildred has been part of the family (yes, she has a name) for a couple of years now. I’ve repotted her before (and propagated a few of her leaves), but this time she’s so huge I thought I’d treat her to a new pot AND something to climb up, to avoid the amount of horizontal room she’s currently taking up becoming overwhelming. A pot with drainage holes in the bottom, no more than 5cm larger than the pot your monstera is currently living in (you don’t want to put it in something much bigger because it will cause it to grow too quickly). I just drilled holes in the bottom of a zinc one I had already. Step 2: Get your hands dirty. Pour some soil in to the drainage pot, I filled it about a third of the way up, and pack it down slightly, then put that in the decorative pot. Step 3: Be gentle! 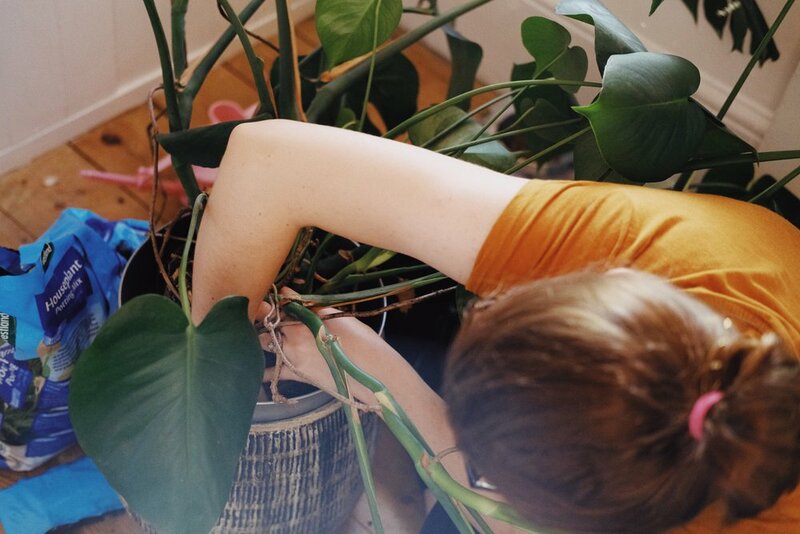 Gently coax the monstera from it’s current pot. Organise and loosen the roots a little, leave space for the poll if you can and place in the drainage pot, pouring more soil in and packing it down as you go. For some reason I always imagine the mandrake root scene from Harry Potter when I’m doing this (facepalm). Step 4: Stick in the steak. This bit is a little scary, I thought I was going to damage the roots, so I made a little hole with my fingers and moved them out of the way. If you do feel like you’ve damaged them a little, it should be ok, monsteras are very hardy - mine has been through a lot and it’s still going strong! Step 5: The Pretty Part. Start to introduce some of the leaves and the aerial roots to the poll, wrap them around it and make it look cute! Pretty soon the roots and leaves will want to climb it, and mimic its natural habitat. Step 6: Water it, DUH! Step 7: Stand back and admire your work, you're done! 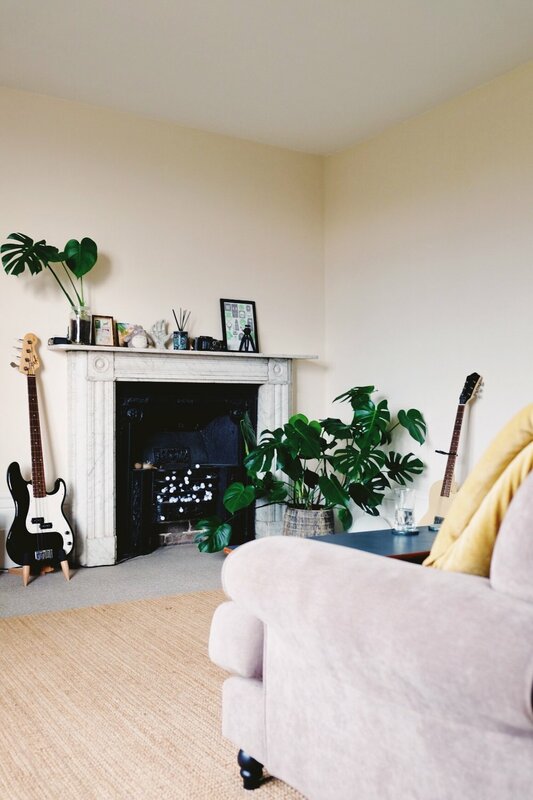 You may have dirty hands and possibly cricked your neck while manoeuvring your body around its crazy stems and aerial roots, but you’ve definitely earned a cup of something hot, and your monstera looks beautiful. I’m planning on propagating a couple more leaves soon - if you’d be interested in a blog post about that process - let me know in the comments! 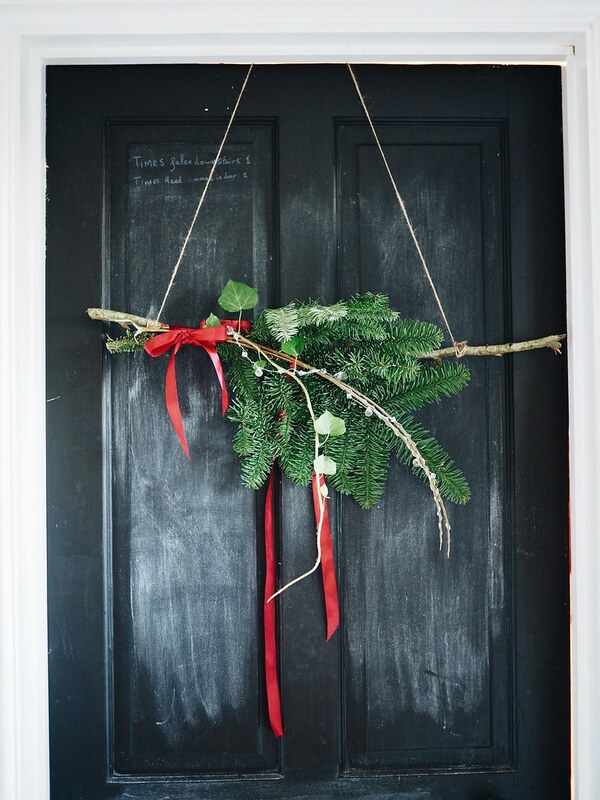 This afternoon we walked Milo and foraged a few festive looking leafy and twiggy things for me to make into a door hanging, and picked up the teeniest tree(!!! !so cute). 1. 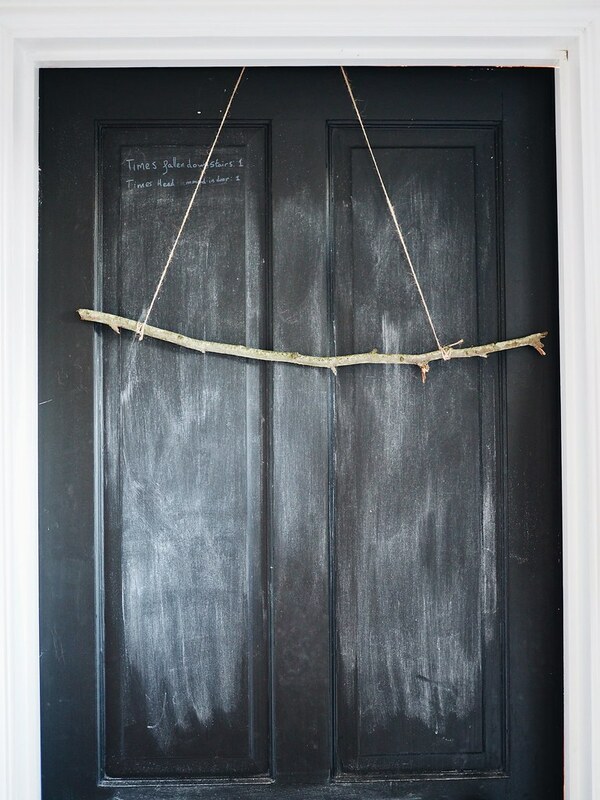 Sturdy twig 2. 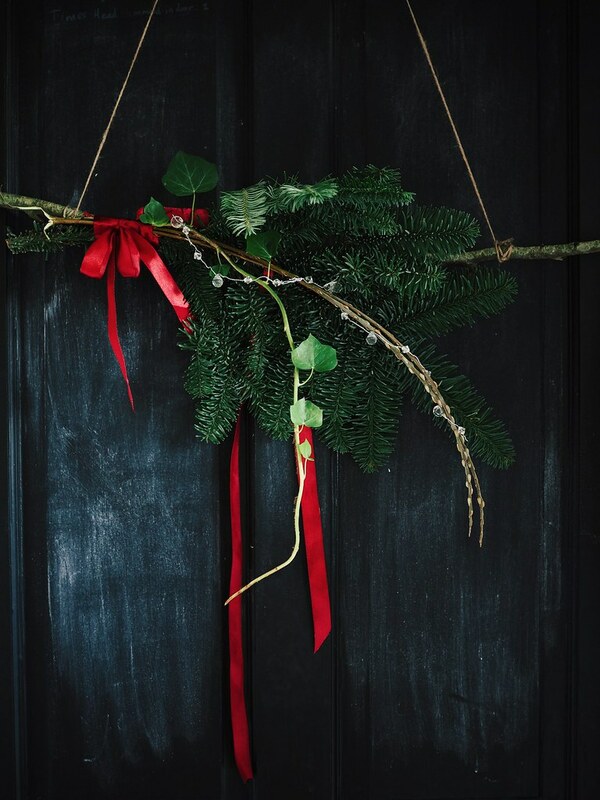 Foraged twigs, leafy branches, maybe some holly - anything you can find that looks vaguely festive! 3. Pine/yew branch. I bought mine from Waitrose 4. Twine 5. Ribbon in colour of your own choosing. Mine came from Tiger last Christmas. Gold or silver would definitely look good. Or navy...or pink. Okay I'll stop. 6. Anything sparkly that is easily attached. You could use baubles, glitter, wired beads like mine, anything you fancy. Next up was attaching some other foraged twigs and ivy and wrapping some red ribbon around the ends of all the branches for a bit more colour.